Emaar Properties has launched Mira Oasis, a new contemporary townhouse community within Reem, a master-planned neighbourhood. Reem is located near Arabian Ranches at the crossroads of Al Qudra Road and Emirates Road. The master development has several features such as a desert botanical park, sand surfing and camel riding trails, go karting track, dune buggies, rock climbing wall, cricket pitch, soccer field, and a skate park. The development is anchored by a majestic central park with interactive fountains, walkways and a captivating water feature. The launch of Mira Oasis follows the strong response from investors to Mira, the first residential project in Reem, according to Emaar. 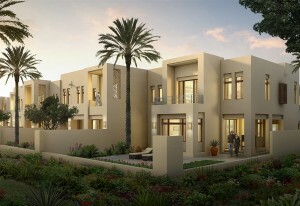 Mira Oasis comprises 411 townhouses designed to the highest standards and inspired by contemporary styles. All of them have large balconies, modern fittings and fixtures, driveways and courtyards. featuring cycling and walking pathways, assures a relaxed lifestyle ambience and promotes the active outdoor lifestyle of residents. Schools, mosques, and retail plazas, which are in close proximity, add to the residents’ quality of life.